It could be that Apple has come up with the best portable laptop so far with the 12-inch MacBook. It is faster and more durable than anything else now or previously but the question now is where do they go after this? Seemingly leading the market with their laptops, tablets and smartphones, Apple must surely be running out of ideas of what they can create next! They have so much to live up to that people expect more and more from them, every time a new product is unleashed on the public. This is never more true with this latest 12-inch MacBook which is an update of the original which was released in 2015. 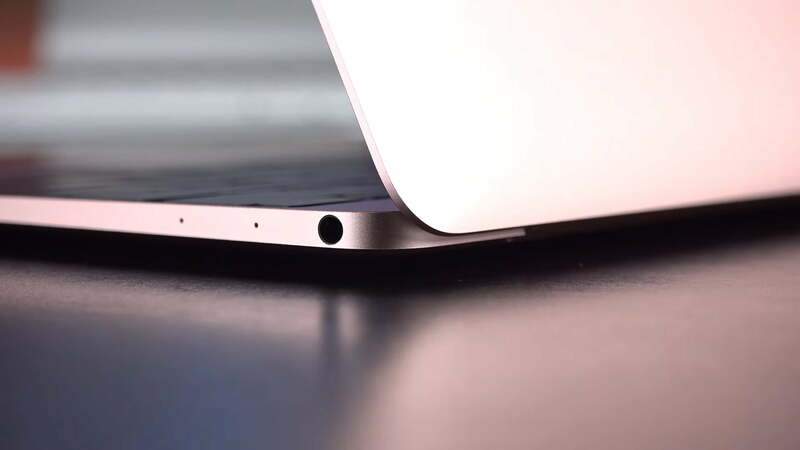 The original MacBook Air created a lot of controversy on its release because it only had one USB port and, although Apple did add a second one, later on, they seemed to go back on this with the 12-inch MacBook which had only one USB-C Port which was also the power connection. Most people didn’t like the idea of a single-port laptop but the 12-inch MacBook has to be looked at in a much broader sense. Put simply, this is probably the best laptop on the market today. This is where Apple may come up with a slight problem. Apart from being compared to the best of the rest, they also have their reputation to sustain and just how will they do this, having to produce better and faster every time? As far as the Apple 12-inch MacBook Review goes, there is now particular target market. This is a portable computer that is intended for anyone and everyone. 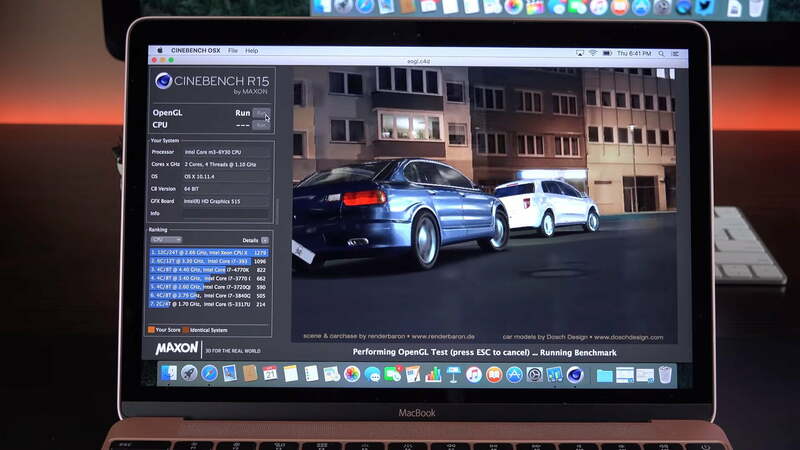 It is very similar to the 2015 MacBook but most of the minor problems have been ironed out. The performance and engineering are extremely good and the only argument can be that there should be more ports. Yet again, this is because what people expect and maybe need for their set-up. Another bone of contention could be the price, which is not cheap. There are two base models and they are priced at £1049 and £1299, respectively. The cheaper of the two has 256GB PCI-e-based onboard flash storage while the second has 512GB. The first model has a 1.1GHz dual-core Intel m3 processor and it is equipped with the amazing turbo boost up to 2.2 GHz and 4MB L3 cache and the second model has a 1.2 GHz dual-core and stunning Intel Core m5 processor with turbo boost up to 2.7GHz. Both models are configurable to 1.3 GHz dual-core and amazing Intel Core m7 processor with turbo boost up to 3.1 GHz. 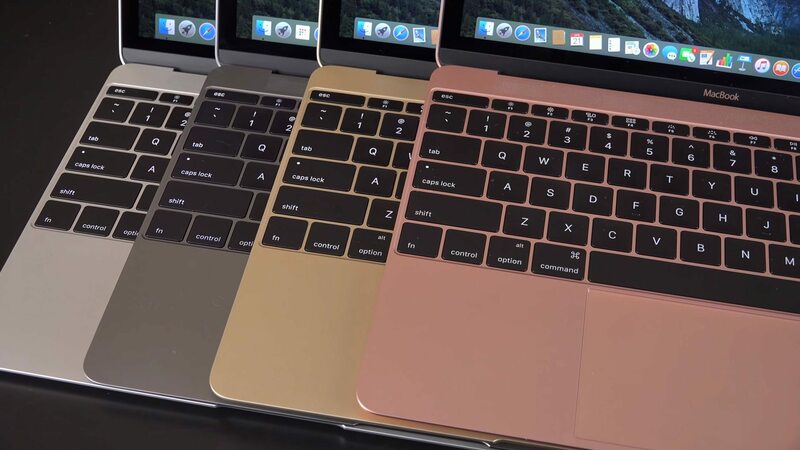 As far as colour goes, the 12-inch MacBook for 2016 is available in silver, gold, space grey and raised gold. Some people may quite rightly think that if they can buy a Windows laptop that has higher specs than this and yet is less than half the price, then why bother? Well, they need to read on and then think about the engineering feat that has made the Apple 12-inch MacBook what it is. Performance-wise, for both these base models, there can be no complaints about everyday use. Obviously, the definition for everyday use varies from person to person but as a whole, on average, the MacBook works very nicely but is probably not suitable for video editing or gaming. 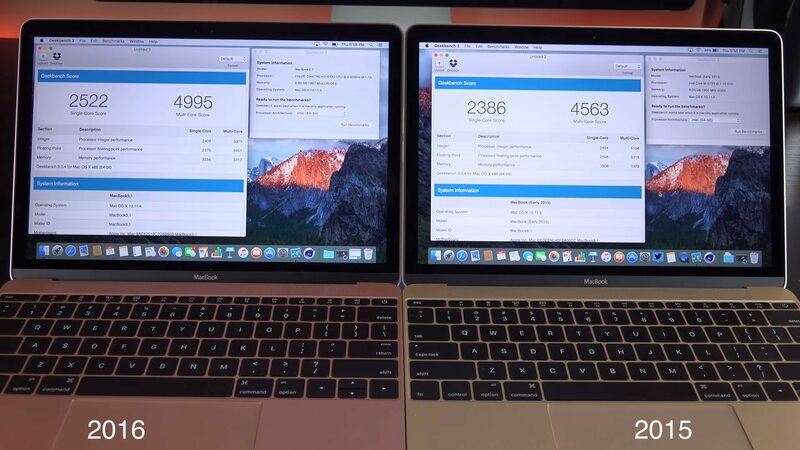 The general consensus of opinion was that the 2015 model was not very powerful and in Geek bench 3 benchmark tests got a multi-core score of 4618 while the 2016 MacBook scored 5053. So, some improvement there! 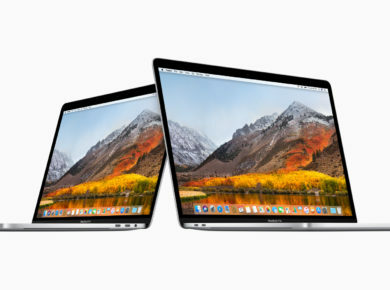 Coming, for the first time, with Intel’s latest processor, Skylake and HD Graphics card, the 2016 MacBook is extremely responsive and has greater performance and storage speeds. Heling it along the way are the flash storage and 8GB of RAM. There are also no moving parts in the 12in MacBook so a requirement for a fan. A quick mention about the speakers which, for such a small laptop as this, are absolutely fantastic! 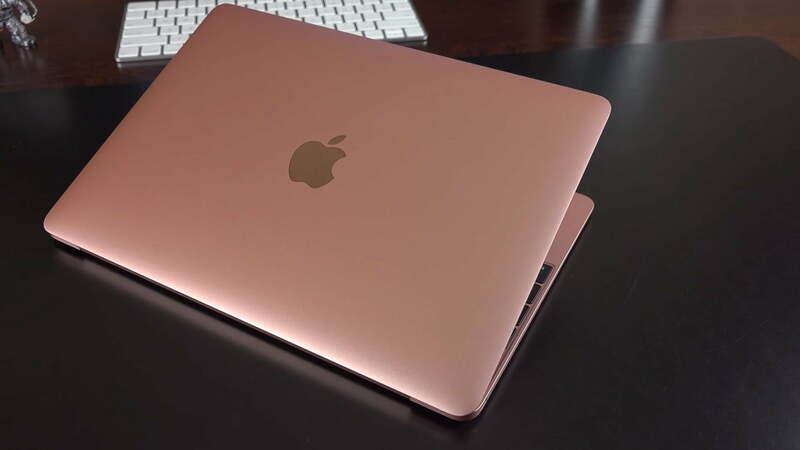 Now, speaking about the design, there is no denying that the 12-inch MacBook is very attractive to look at and this is in no small way due to the colours that it comes in. Once again, though, there is that bone of contention for some people, the single port! 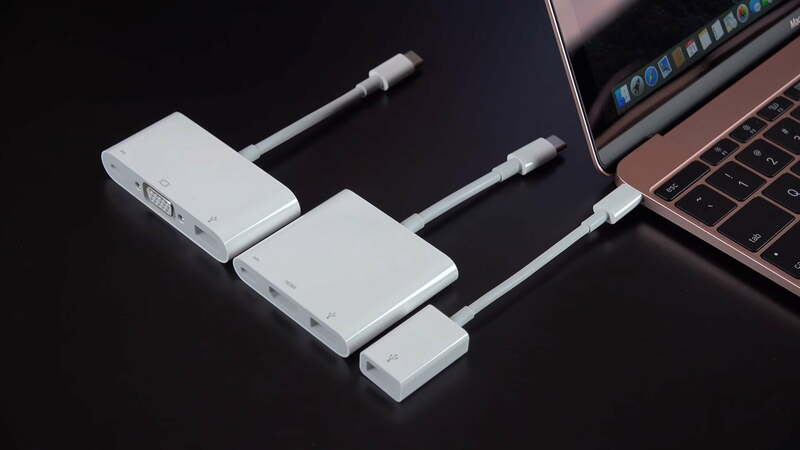 The USB-C port is quite new in terms of USB connectivity. The charger connects to it and it also acts as a video output as well as for transferring data. If you need to do all three together, however, you will require an adaptor. The simple answer, of course, is that if you regularly need more than one USB port, then maybe this isn’t the laptop for you. The same goes for an external monitor. Because the MacBook doesn’t support Thunderbolt 3, if you need a second screen, then you require an HDMI adaptor. If that is the situation, then why not just buy a 15-inch MacBook which has ample ports and no need for another screen? 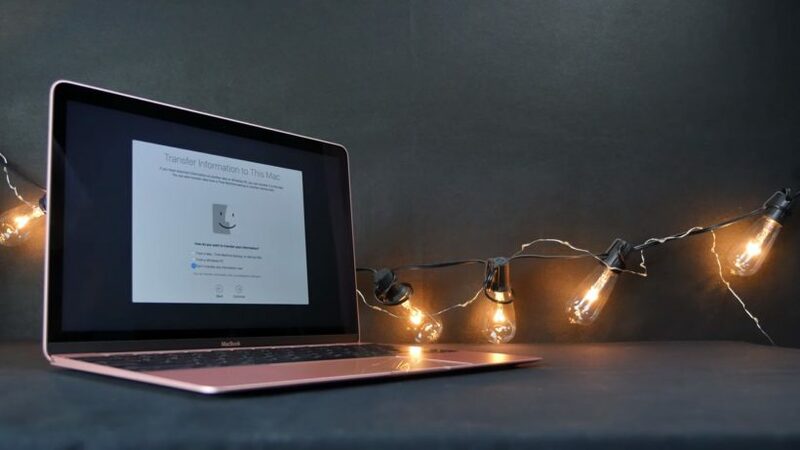 It may be that sales of the Apple 12-inch MacBook could be affected because of these issues of connectivity but then it could be said that people are judging this machine on what it can’t do rather than what it can do. Surely you buy something that is fit for purpose and Apple has covered all eventualities in their other models. Because Apple has stuck with this design for the second generation, then they obviously see the need for it. Maybe you remember that something similar happened with the MacBook Air. When it was first introduced, it was said to be too expensive and people complained that it had only one port. Nowadays it is still being used by people who consider it to be a classic from the design point of view. By the way, it should be noted that, during tests, the USB-C port has a very tight fit for the cables and need a sharp tug to pull them out. This is, obviously, not a bad thing as the cable will not keep falling out, but just to be aware of in case of tripping over! The screen on the 12in MacBook is amazing. There is no other word for it. The same as the iPhone4 it has Apple’s Retina display and why this was not a feature on previous models is anybody’s guess! The 12-inch screen has a 2304 x 1440 resolution with 226 pixels per inch. The arrays of colours are fantastic and the backlight brightness levels are adjustable to degrees of accuracy never seen before. The resolutions are saleable and one of the best options is ‘More Space’ which, as it implies, makes the 12-inch screen more spacious, especially useful for multi- tasking. The screen on the 12in MacBook really does make the MacBook Air look dated. Not only is the resolution better but the slim, sleek glass bezel of the MacBook looks so much finer than the thick, plastic bezel on the MacBook Air. To be honest, in spite of all the improvements, the battery on the 12-inch MacBook is not as good as on the MacBook Air and the Pro. Basically, this can’t be helped because the computer is so small and although Apple has done their level best to get as much battery in there as possible, there’s only so much you can do! Compared to the 2015 12in Mac Book, there is a slight improvement on battery consumption with Apple saying there is now up to 10 hours of wireless internet usage. This is down to the new Skylake processor on the 2016 model. So it is possible to get through a normal working day without having to charge. Problems appear, however, when you start opening multiple tabs in Google Chrome and also have apps running such as Mail and Google Drive. That’s when you notice your battery consumption starting to go up. For a normal day’s usage, however, the battery consumption levels are fairly acceptable and no more than you would expect from a machine of a similar type as this. All laptops on the market today would be pushed to do better, excepting maybe the MacBook Air….enough said! When all is said and done, it is fair to say that the Apple 12-inch MacBook is a superb machine with performance capabilities that certainly match, if not overtake, other comparable machines of this size. It is certainly an improvement on the 2015 model and it now may be considered to be Apple’s flagship computer. Although the price may suggest otherwise, this is not a laptop that should be considered as a luxury item but a laptop that can and should be available to everyone who needs or wants a laptop that does what you want with the minimum amount of hassle and the maximum amount of user pleasure. Hopefully, Apple will reflect on this when and if they re-consider their pricing strategies.